This battle took place in 1897 between the Spanish forces and the revolutionary army led by Crispulo Aguinaldo, the older brother of General Emilio Aguinaldo. 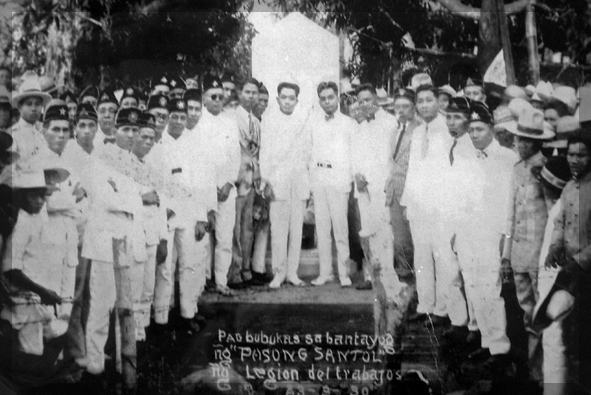 Crispulo Aguinaldo took over the leadership of the revolutionary army originally led by Gen. Emilio Aguinaldo, who at that time was elected in absentia as president of the revolutionary government and had to be fetched and brought to Tejeros. In this battle, the Philippines suffered a great loss and thousands of Filipinos were killed including Crispulo Aguinaldo and Flaviano Yengko, one of the youngest generals in the Philippine Revolution and regarded as the “Hero of Salitran”. The monument of the Philippine revolutionaries of Battle of Pasong Santol or Bantayog ng mga Bayani sa Labanan sa Pasong Santol, in commemoration of the heroes who fought during the battle, is located at Barangay Anabu II-F. Meanwhile, the site of Crispulo Aguinaldo is located at Barangay Anabu II-E.